X J Auto Svc Inc is proud to offer a full range of car maintenance services to vehicle owners located in the greater Calgary area. Regular Calgary car maintenance is recommended for any vehicle to ensure that no problem goes undetected. Regular car maintenance also helps your vehicle run smoothly and efficiently and, in most cases, saves customers a lot of money. Indeed, a poorly running vehicle, while it may not show any signs of malfunction, tends to guzzle more gas than a fine tuned one. Lube jobs are essential to keep all your vehicle's moving parts lubricated and clean. X J Auto Svc Inc recommends taking your vehicle in for a lube job at least twice a year to make sure that everything keeps moving smoothly. Regular tune-ups help ensure that your vehicle is running as efficiently as possible, and are a major factor in maintaining its value and longevity. From replacing air filters to cleaning spark plugs, X J Auto Svc Inc offers complete and flawless tune-up services. Transmission repair is one of the most expensive automobile repair, and can usually be avoided by taking your car in for regular transmission maintenance servicing. The State of AB requires that your vehicle pass the state inspection, ensuring your vehicle is not producing high levels of pollutants. 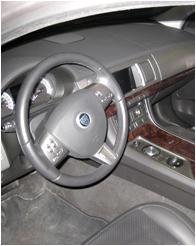 X J Auto Svc Inc is certified to conduct inspections and can make your car compliant to the State's requirements.